Enjoy yoga in your workplace. Yoga sessions can be any time of day, on site at your workplace. We’ll work with you to find a suitable space, and we’ll bring all equipment to you, just bring yourself! Workplace Yoga can also be an employee benefit; on-site yoga sessions for employees to attend at will. A Yoga Hero wellness scheme can also expand to include classes at the Yoga Hero studio, and around Leeds, so there are lots of options. 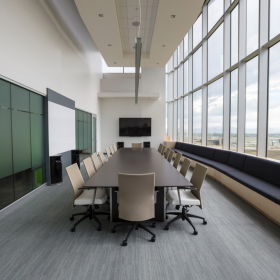 To work out what is best for you and your company, just email workplace@yogahero.co.uk or call 07743513225 and we’ll work with you to determine the best elements of a wellness scheme, tailored to your needs. Stress in the workplace is becoming a huge, huge problem for employers. In 2012 – 10 million working days were lost to stress, in the UK alone! Beat stress – both physical and mental – with regular yoga sessions, which help to ease and undo the effects of day to day work. We’ll make it really easy for you, you’ll be practicing yoga in the workplace in no time – getting ready to return to work chilled and energised for the rest of the day! 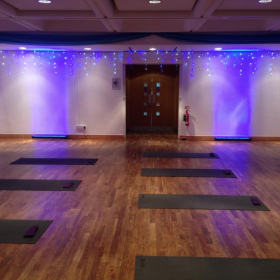 Yoga Hero were asked to lead daily morning yoga classes, open to all Royal Armouries staff, with the aim of energising, relaxing and rebooting before a busy day ahead! Yoga and mindfulness classes were held at lunchtime to provide a lovely break in the middle of the day. These were simple 30 minute sessions, focusing on releasing shoulder, neck and hip tension, improving posture and increasing core strength.